Some owners perform health services themselves rather than utilizing their primary veterinarian, and the administration of vaccinations is perhaps the number one service falling into this category. 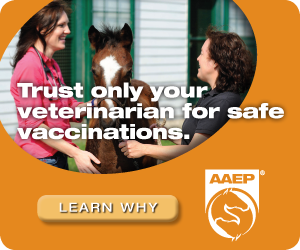 The AAEP’s market research shows that 50 percent of horse owners and trainers gave at least some vaccinations themselves over the past year, with 23 percent giving all of them. Which type of owner is more likely to give their own vaccinations? Race and western horse owners, and younger owners. Less likely? Those who reside in the Northeast, live in an urban area, are more affluent and with a higher level of education. Cost savings is, by far, the leading reason why owners administer vaccinations. Those in the 18-40 age group were more likely to cite cost than any other group. A smaller percentage administers vaccinations because they feel they are just as qualified as their veterinarian to do so. Vaccinations Help Build Client Relationships. While the administration of vaccinations has been slipping away from veterinarians, this important service shouldn’t be viewed as a lost cause for your practice. Administering vaccinations creates a relationship-building opportunity between you and your clients. 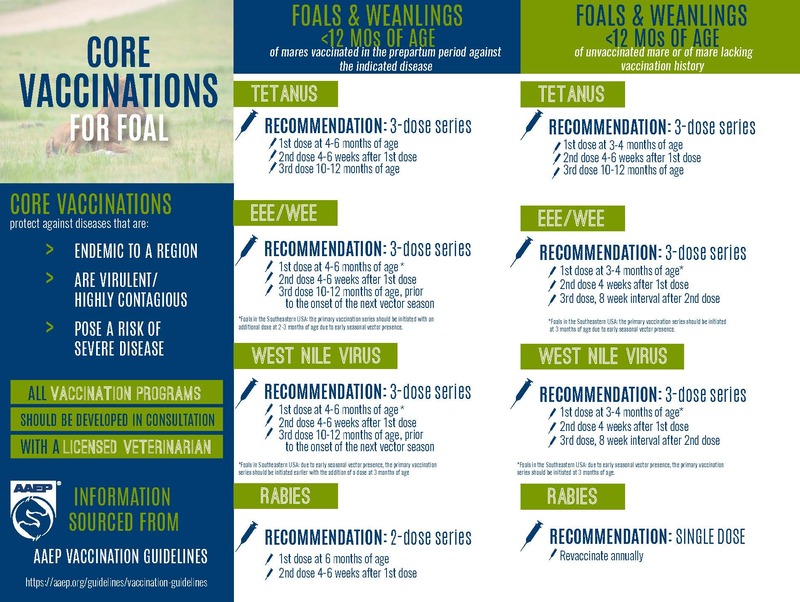 The conversation that takes place while you are providing this essential service can lead to the discovery of other key health issues the horse may have. 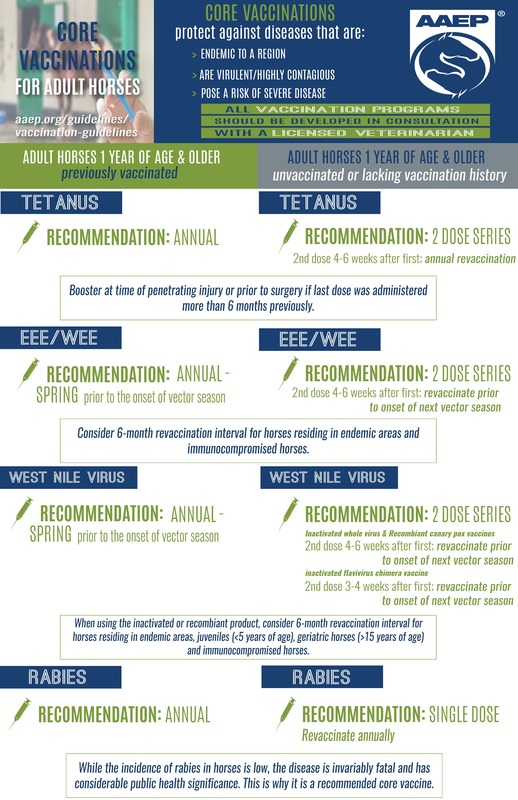 Join the AAEP as we encourage horse owners to choose an equine veterinarian for vaccination administration. Below are ready-to-use education resources for use in your own practice: social media messages, website and newsletter articles, infographics, a client education PowerPoint presentation and more. Starting a conversation with clients and growing this area of your practice have never been easier. For assistance with any of the tools, please contact Sally Baker in the AAEP office at sbaker@aaep.org or (859) 233-0147. Note: All items can be downloaded to your personal computer and customized to include your practice's name, contact information and services. 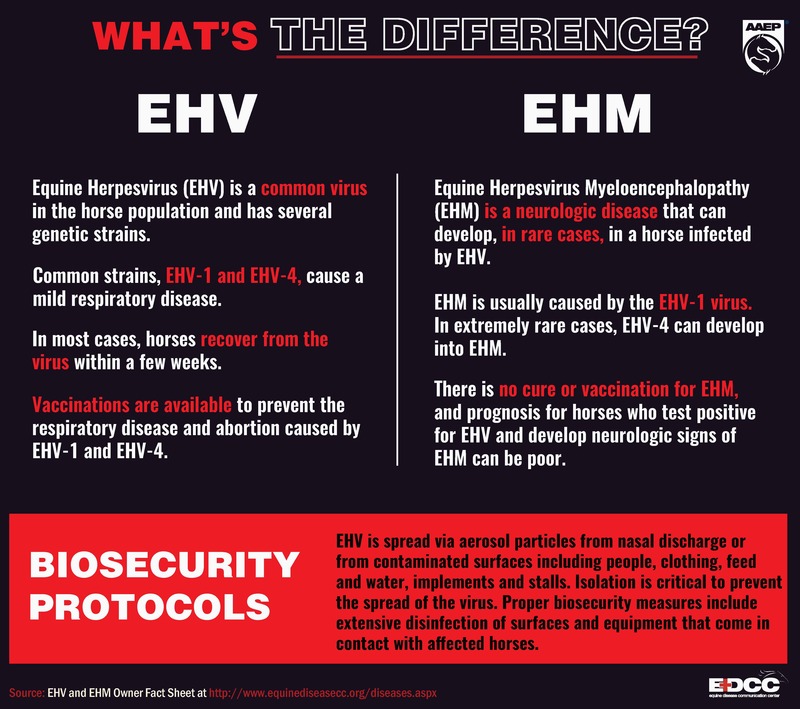 Infographic: EHV vs. EHM: What's the Difference?